Voluntary Sector Gateway West Lothian are interested in hearing your views and ideas about living here in West Lothian and to hear from you about what you feel would make living here even better for you. We would like to know what you feel will help you to maintain your independence in the future. 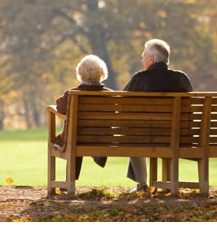 The information you record will help to inform planning for the elderly in your area. Your contact details will not be shared and only used to give updates about this consultation (if you wish) and or to contact you if you are interested in getting involved in any volunteer opportunities regarding this consultation. If you are not interested in getting updates about this survey– you do not need to leave your name or contact details with us. So that we can get an understanding of the number, age and gender of people who have shared their views and ideas we do require you to record your age, gender and postcode. Then please have your say about where you live and what would make it easier for you to maintain your independence into the future.